After the huge success of PUBG on PC, the developers made the game available for Android and iOS, and as expected, the game simply topped the charts due to its impressive gameplay and all the new updates. With PUBG Mobile, we have seen that the battle royale games can be a huge hit on mobile operating systems as well. Just like PUBG, there is a very popular battle royale game for PC, and that’s Fortnite from Epic Games. Many consider it to be better than PUBG and if you head over toe Twitch, you will find that Fortnite is right now the most watched among all the other games. 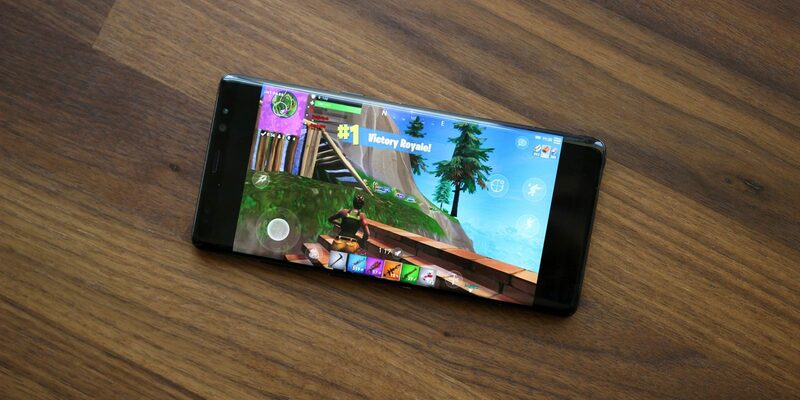 If you aren’t aware, EPIC Games is all set to launch Fortnite for Android, and there are reports that the game will be launching with the Galaxy Note 9 on August 9. It is also said that the game will be available for Samsung Galaxy users exclusively for up to 3 months and after that, it will arrive on other devices. Before you fill yourself with the excitement of playing Fortnite on Android, you should check the minimum requirements for playing Fortnite on Android. One of the members at XDA was able to find clues about the minimum requirements for playing Fortnite on the Android phones. According to XDA, he found an updated minimum hardware specifications list via the entitlement API used to decide whether an Epic account is “entitled” to certain promotions or services. This suggests that the game is going to use the GPU a lot and so, it needs a powerful GPU to run. Considering that the minimum requirement of GPU for Qualcomm processors is Adreno 530, the phones with Snapdragon 820 and above will be able to smoothly run this game. But, this shouldn’t mean that phones with Snapdragon 6xx and 7xx series processors won’t be able to run this game since this would mean a huge loss for Epic Games since a majority of the users own a mid-range phone and not a high-end flagship. Let’s see if Epic Games is going to optimize the game for phones with mid-range processors too or only the phones with Snapdragon 820 and higher will be able to run this game.